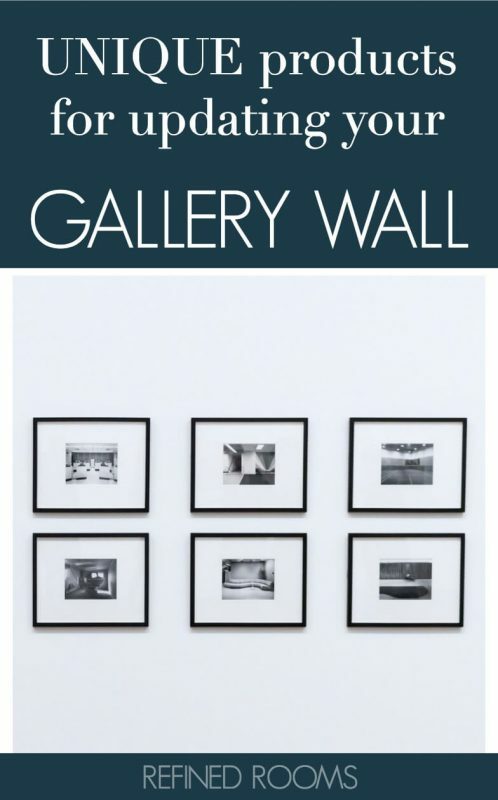 Let’s talk photo gallery walls! Gallery walls offer an opportunity to show off your creativity, while capturing special memories and telling important family stories. Until recently, our choices for displaying photo wall art within a gallery wall were limited to traditional framed prints or canvas prints. Not any more! There are some new & unique photo wall art options that you can use to up your gallery wall’s style game! 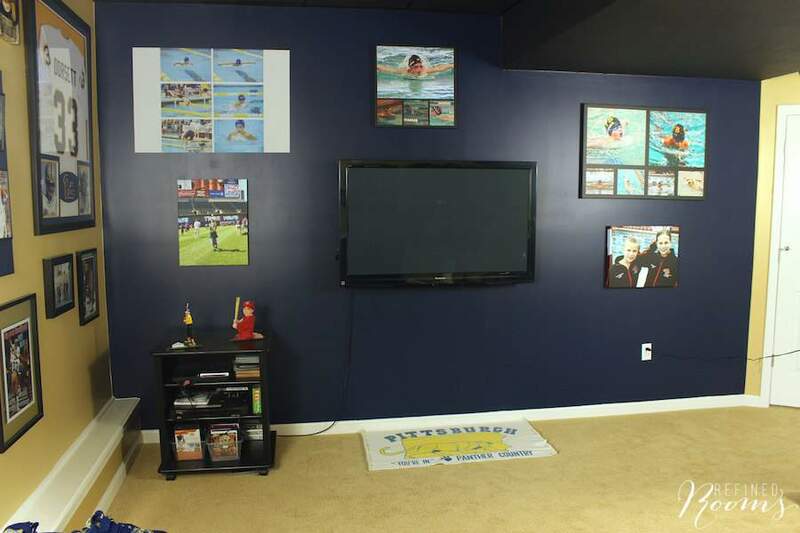 You may remember a while back when I introduced you to my Hubby’s basement man cave. It’s home to all of his most beloved sports memorabilia. The Cleveland Indians, Cleveland Cavaliers, Pitt Panthers, Pittsburgh Steelers and Pirates are all represented on three of the four walls. That 4th wall is reserved for the most special team of all…Team Gallagher. 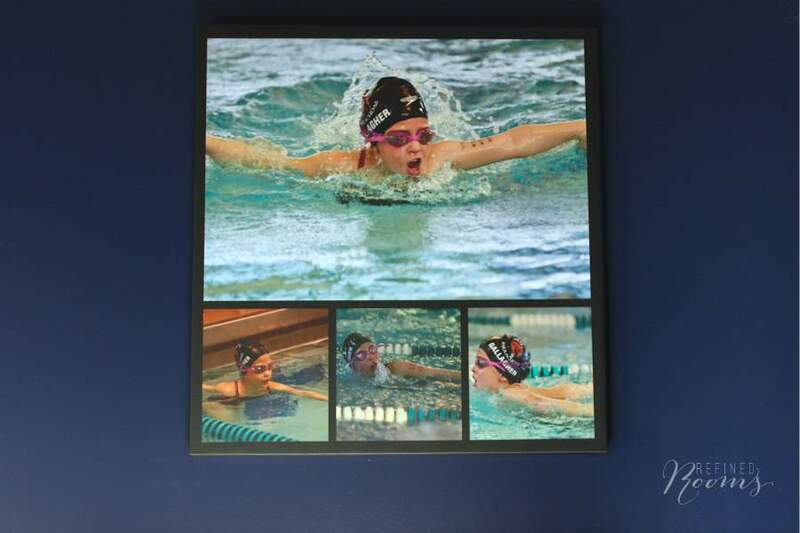 Several years ago, the kids & I started a Christmas tradition of giving Brian a piece of wall art to add to the Team Gallagher sports wall gallery. With the addition of this new piece, I really liked the eclectic direction that the Team Gallagher wall was headed. 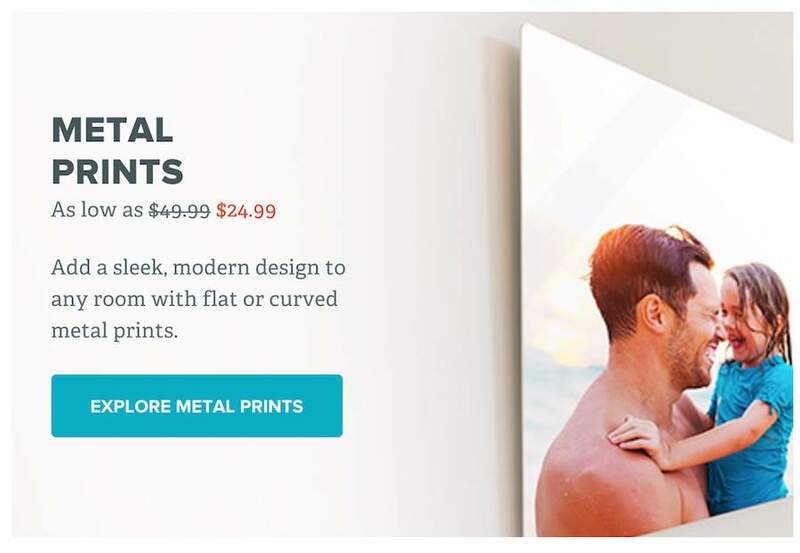 Now that it’s time to purchase Brian’s Christmas gift, I was excited to explore some of the newer unique photo wall art options that are on the market. Y’all already know about my love affair with Mixbook for creating photo books and holiday cards. So it probably comes as no surprise that it would be the first resource that I would explore for cutting edge photo products as well. 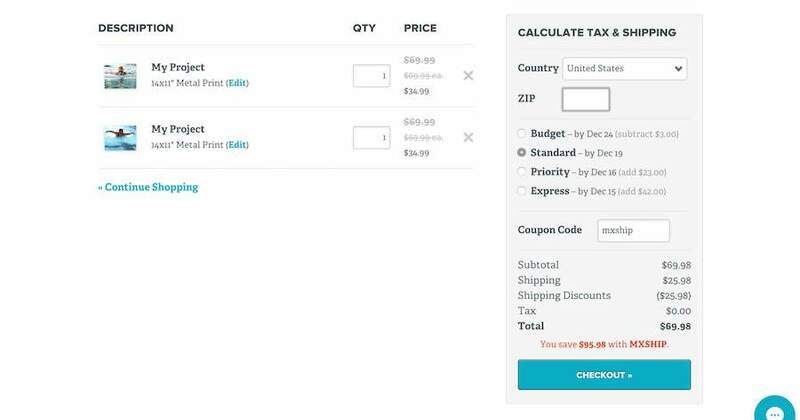 I’m happy to report that Mixbook did NOT disappoint! In fact, they just added several new types of wall art to their product line– Metal, Acrylic and Poster Prints. You’re probably familiar with poster prints already, so let’s focus on acrylic and metal prints. 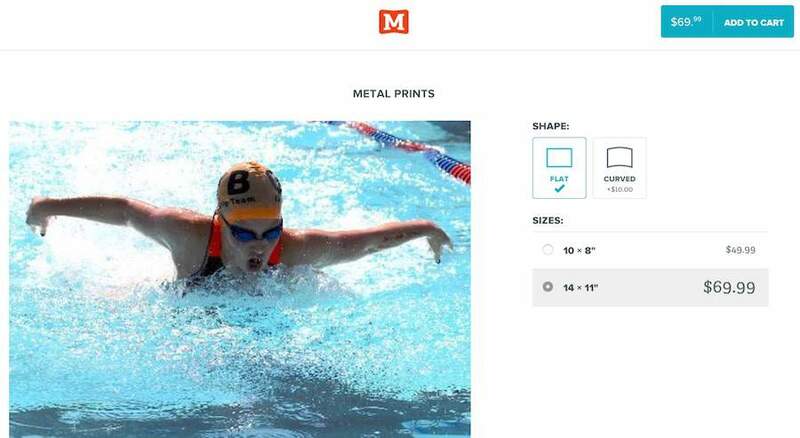 I was first introduced to both of these types of prints this past summer at one of my son’s championship swim meets. 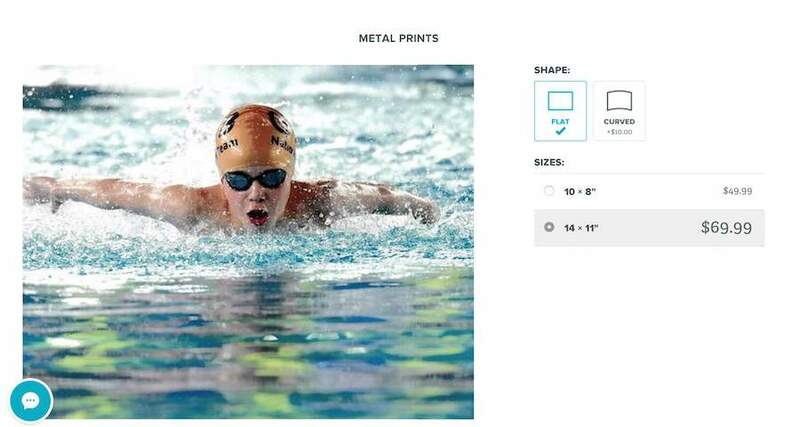 The professional photographer that was working the event offered both acrylic and metallic options for printing your kid’s coveted swimming action photos. They had samples. They were jaw-droppingly gorgeous. But they were ASTRONOMICALLY expensive. So what are acrylic and metal prints anyways? Acrylic prints have a glass-like finish with brilliant clarity. They are sleek, contemporary, and eye-catching. I remember when I viewed the acrylic swim print samples how the colors just seemed to jump off the page. 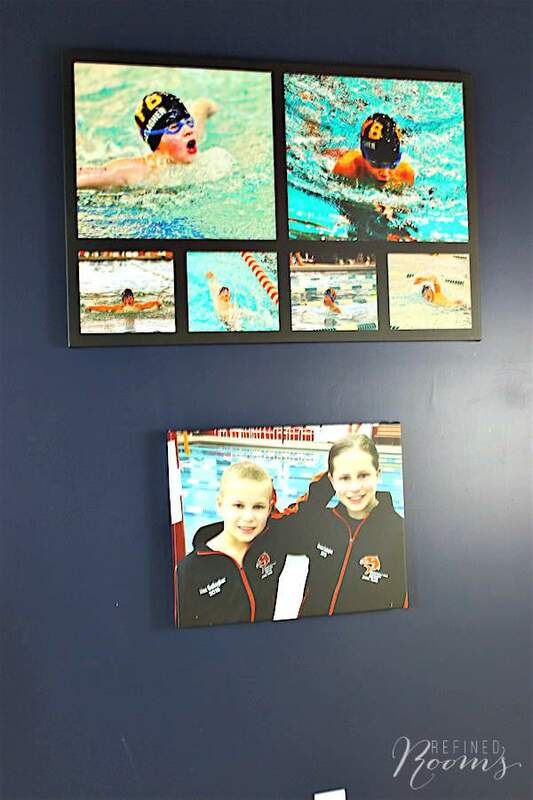 They create a high-end gallery look, especially when they’re displayed in groupings. Metal prints have a cool, industrial aesthetic, but still have the same vibrant colors as all other wall art options (but with an edge). They’re super durable and won’t shatter if they’re dropped(so great for kiddo-traffic heavy spaces). Mixbook offers both ready-to-hang flat metal prints, as well as curved edge prints. I’ve never seen curved prints anywhere else. They’re perfect for displaying on a table or shelf. I love the look of BOTH acrylic and metal prints. I decided to go with metal prints, since they play better with the casual style of the man cave space. So this is where the fun part begins! 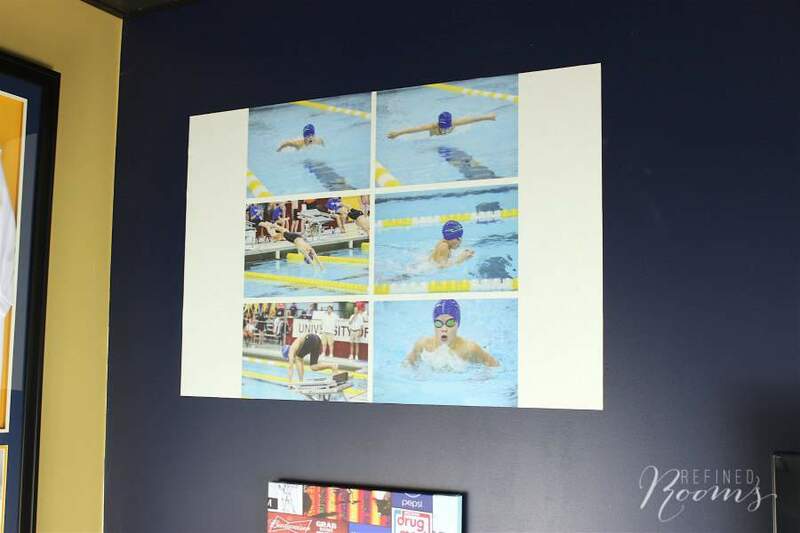 Together with the kids, we selected a favorite action photo from this past year to transform into a 14″ x 11″ metal print. Interestingly, they both chose a butterfly photo. I can’t WAIT to see the look on Hubby’s face when he opens these gifts on Christmas morning (ssshhhhh…..keep it a secret!). I’m also pumped to see how these additions will breathe new life into our ever-evolving man cave gallery wall! If you’ve got one of those hard-to-shop-for friends, delight them with a unique photo wall art gift from Mixbook’s home decor collection. Once all your holiday shopping gets done, your only remaining task will be to sit back, relax and drink egg nog. Cheers!